Congratulations to all those shortlisted. More information about the awards is available on the BSFA website. Please direct any queries to the Awards Administrator Clare Boothby. BSFA members will later receive a souvenir booklet with extracts from many of the shortlisted works. If you would like to vote in the awards, you can do so by becoming a member of the BSFA and/or Ytterbiumcon, the 2019 Eastercon. This year, Vector have decided to take our annual SFF round-up online. It’s all here on the website under the tag 2018 Round-Up: reflections and highlights from Nina Allan, Cheryl Morgan, So Mayer, Maureen Kincaid Speller, Nick Lowe, Alison Baker, Tony Jones, Gary Couzens, Dev Agarwal, Andrew Wallace and Molly Cobb on the year gone by. Speaking of 2018, it’s also BSFA Awards time: we’ve recently announced a splendid longlist of SFF novels, short fiction, non-fiction, artwork, voted on by BSFA members. Voting is now open for the shortlist. Earlier this month the BSFA announced our longlist for the BSFA Awards, voted for by BSFA members. Congratulations to all those who have been nominated. It seems like a really strong and rich list this year. If you’re a BSFA member, you can now vote on what should wind up on the final ballot (you can also vote by emailing Awards Administrator Clare Boothby … which is the better option if you’ve just recently joined). This round is open till the end of January. 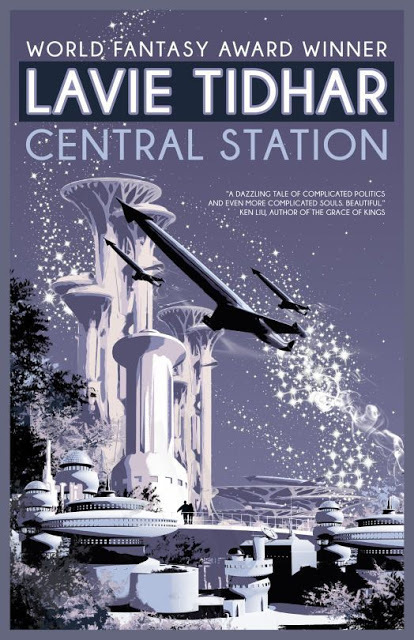 There’s more information from Clare on the BSFA main site; you can also join the BSFA and/or join Eastercon 2019 (Ytterbium) for the final voting and awards ceremony. The WSFA Small Press Award is now open to submissions of short SFF works published in the small press in 2018. Eligibility guidelines. And, while we’re talking awards, the first round of BSFA Awards voting closed at midnight 31 December. The longlist will be announced tonight. UPDATE: Here it is! Fabulous pickings. The second round of voting (for the shortlist) is now open to BSFA Members. If you’d like to join, you may do so here. Nominations are now open for the BSFA Awards longlist. If you’re a member, you may nominate up to four works in each of four categories: Novel, Short Fiction, Non-Fiction, and Artwork. If you’re not yet a member, consider joining the BSFA. Earlier we shared some suggested reading in short fiction and novels. Below is a list of crowdsourced recommendations (in no particular order) for the categories of non-fiction and artwork. You can also still explore (and add to) the suggestions sheet. The BSFA Award for Best Novel is open to any work science fiction or fantasy over 40,000 words, first published in 2018. If you are a BSFA member, formal nominations for the awards are also now open. To nominate and vote you must be a BSFA member (join here). And here (in no particular order) is this year’s list of suggested reading. It’s nomination time once more! The BSFA Award for Best Short Fiction is open to any shorter work of science fiction or fantasy (40,000 words or under) first published in 2018. These days, alongside the formal nominations, we also crowdsource a list of suggested reading. Anyone may suggest SFF works they think are worth checking out, and we use these suggestions to create (in no particular order) the list below. You can also still explore the Google sheet. Formal nominations for the awards are also now open. To nominate and vote you must be a BSFA member (join here). If you’ve recently joined and don’t yet have a membership number, don’t worry! You’re still eligible to nominate and to vote. The Awards will be presented at Follycon, the 69th Eastercon, which this year is taking place at The Majestic Hotel, Harrogate, from 30th March – 2nd April 2018. Our ballot is now live! BSFA members who wish to send advance votes, can do so here. We will also have a printable ballot form available from this web page in a few days, in case you would prefer to vote by post. Shadow Clarke Award jurors – The 2017 Shadow Clarke Award blog (The Anglia Ruskin Centre for Science Fiction and Fantasy). The 2017 Shadow Clarke jurors are: Nina Allen, Maureen Kincaid Speller, Victoria Hoyle, Vajra Chandrasekera, Nick Hubble, Paul Kincaid, Jonathan McCalmont, Megan AM. Mark your choices in each category in order of preference: ‘1’ for first place, ‘2’ for second place, etc. You are not required to rank all the nominees in any category. Advance votes must be received by Monday 26th March 2017, either electronic or postal. If you intend to send votes by post instead of via the e-ballot form, please remember to include your BSFA membership number (you will find this on the envelope of your latest mailing) and your name and address. Return your postal votes to: BSFA Awards, 9 Montgomery Road, Cambridge CB4 2EQ. The BSFA Awards are awarded each year to the best Novel, Short fiction, Non-Fiction and Artwork. Send or give your shortlisting votes to the Awards Administrator to arrive by the 31st January of each year. See here for further details. This year’s nomination lists are extensive, see below. Where a work (or an excerpt) is available online, we have provided a link. If you are a publisher or author and wish to make a work or an excerpt available, please contact awards@bsfa.co.uk and we will be happy to add a link. Read about the Awards on the BSFA site, then get nominating. You only get a limited number of nominations, but if you have a lot of love for SFF in 2017, you can always spill over into the informal suggestions spreadsheet. If you’re not yet a BSFA member, here’s where you can rectify that.